Godzuki’s puppies arrived today! She had four boys and two girls, all dark brindles with minimal white markings. Mother and puppies are all doing great. 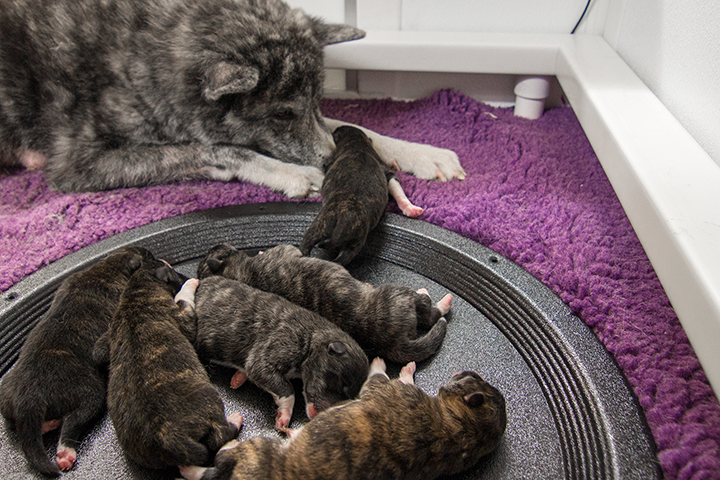 She surprised us by being a few days earlier than expected, then surprised us again by having six puppies instead of five seen on x-ray less than an hour before whelping began! 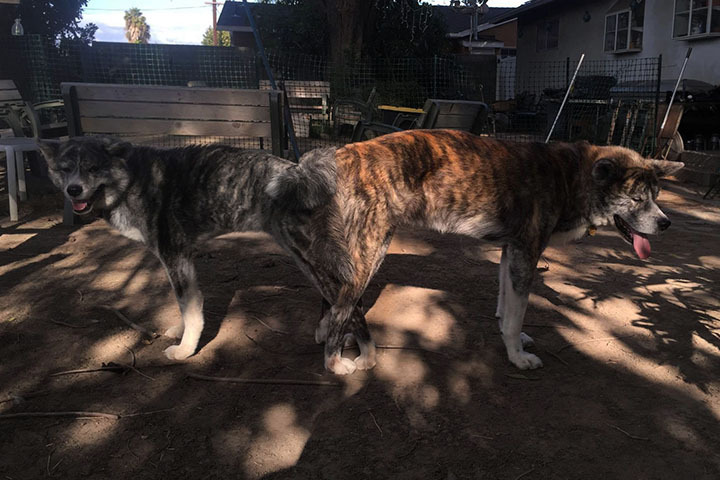 We think some of the puppies will be silver brindle, like Godzuki, and some will be red brindle like their dad, King Ghidora. You can view daily photos of the puppies on our Facebook page and each has their own album linked below. 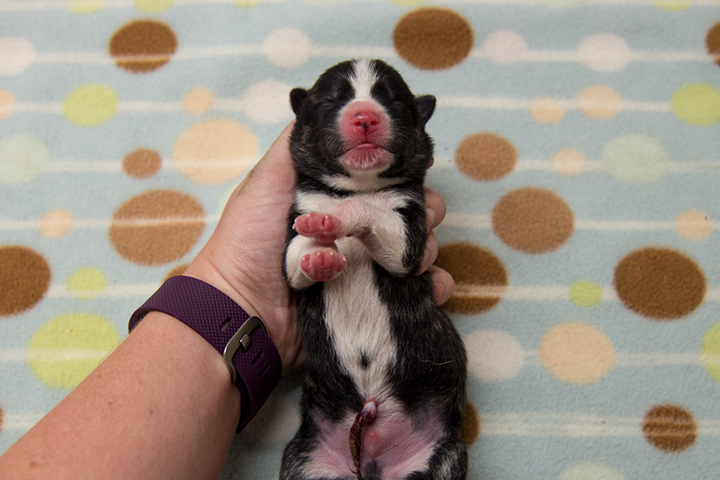 And don’t forget to watch them on the puppycam! All of the puppies will be available to the right home. If you are on our waiting list, the application will be sent to you. Please fill it out and send it back if you are interested in one. We are looking for one or two co-op homes to place the most promising pups with for the future betterment of the breed. Please let us know with your application if you are interested. All applications must be received on or before July 11th. More details will be sent along with the application. Brindle male born at 11:45 am and 464 grams. 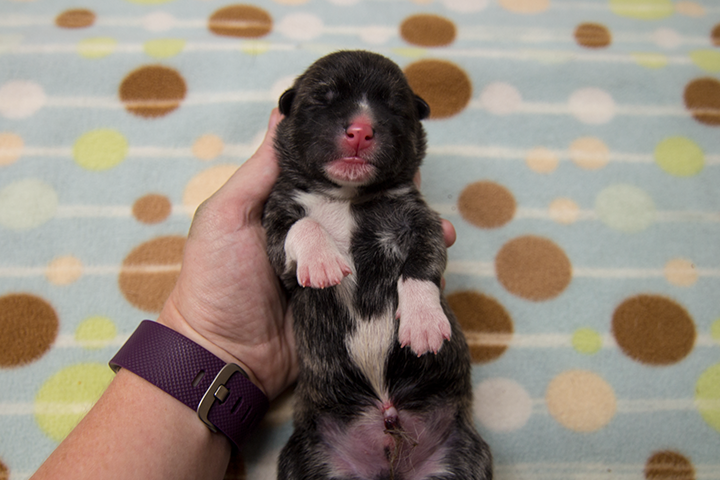 He is the largest puppy, with lighter coloration and jagged white belly markings. View his photo album. Brindle female born at 11:54 am and 356 grams. She is the larger of the two females, with darker coloration and snip blaze. View her photo album. 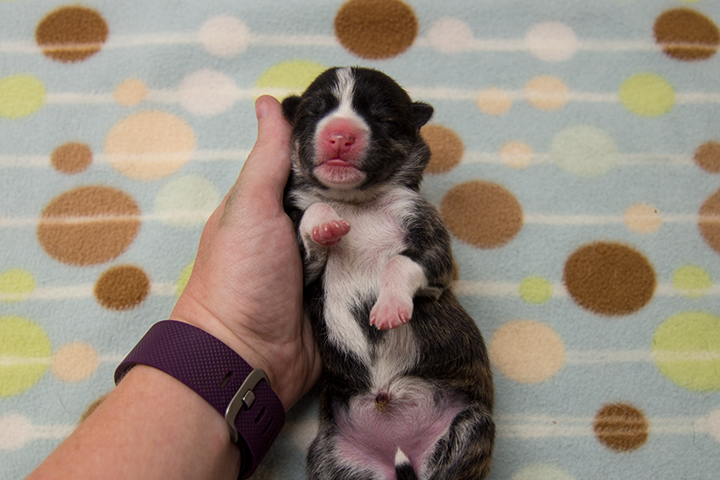 Brindle male born at 12:11 pm and 404 grams. 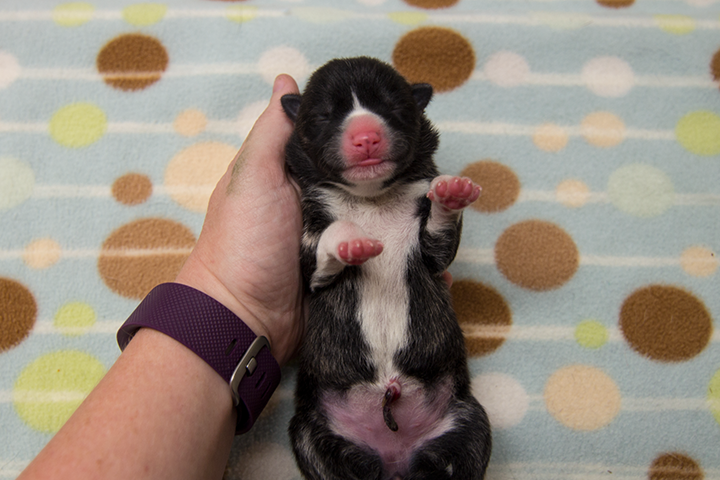 He has darker coloration, a wide blaze, and a small spot on his belly. View his photo album. Brindle female born at 12:17 pm and 348 grams. 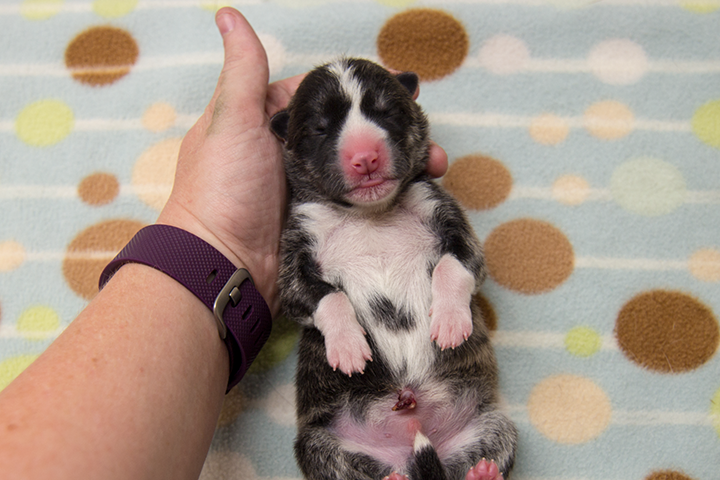 She has rich red coloration, a wide blaze, and a large spot on her belly. View her photo album. Brindle male born at 12:23 pm and 354 grams. 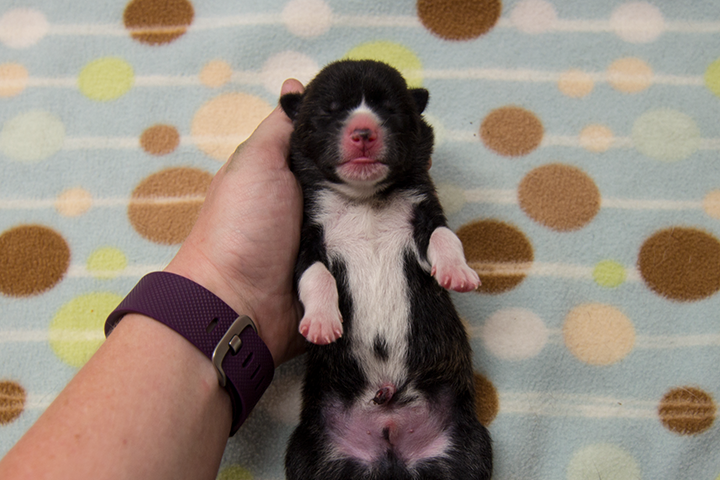 He is the darkest puppy, with a snip blaze and a small spot on his belly. View his photo album. Brindle male born at 2:47 pm and 392 grams. 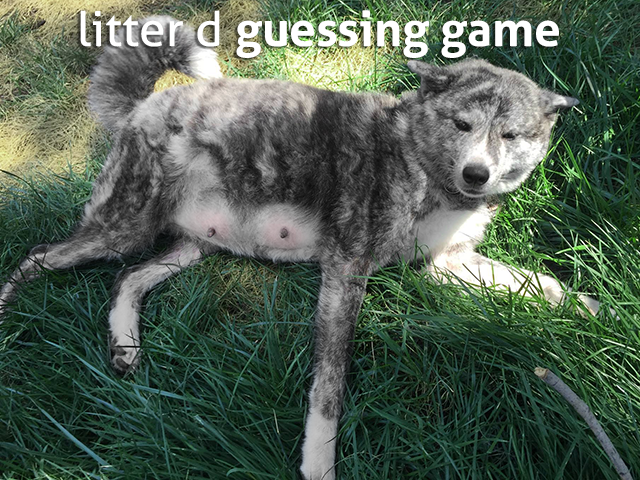 He has lighter coloration with a wide blaze and large spot on his belly. View his photo album. Godzuki and King Ghidora mated yesterday afternoon. Pregnancy check in one month with puppies due early July. 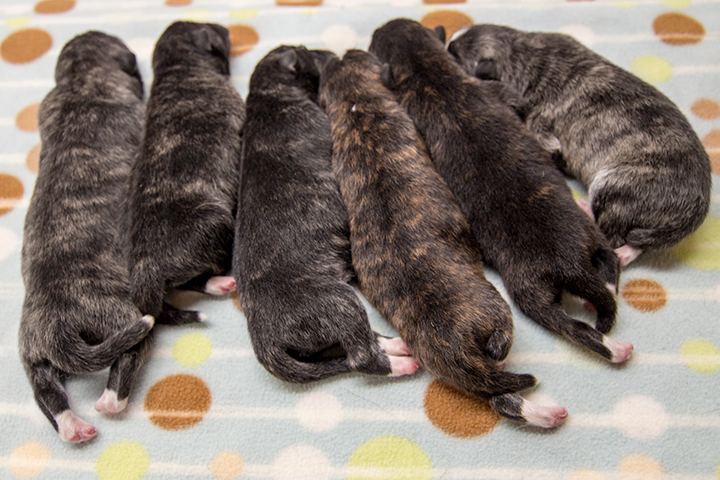 All brindle! Please fill out our puppy questionnaire if you’re not already on our list. If you have any questions about this litter feel free to contact us.